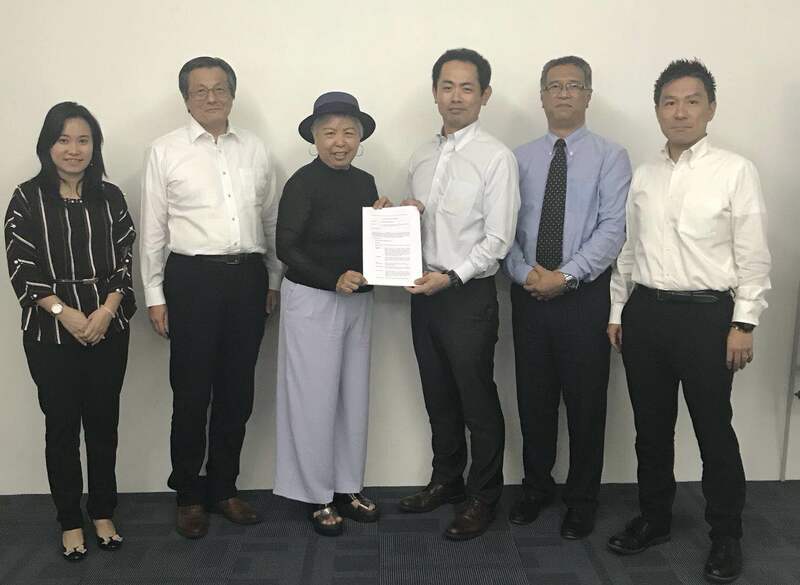 Executive Chairman Mdm Foong signed a collaboration agreement today at Cold Chain Network ( CCN) HQ at Kuala Lumpur with CEO Koichi Iwahara, the ceremeony was witnessed by Motoyuki Hazu, General Manager of Overseas Business Development of NICHIREI, Encik Zainurin of MAFC and Ms Lee Huey Yee of ARH. CCN will provide cold chain logistics to Sun Fresh Fruit Hub's products domestically and also for Export. Cold Chain Network is Japanese based Cold Chain speciaist Nichirei's investment in Malaysia. Nichirei's subsidiary in Rotterdam also manages the world's largest fresh juice hub.